Renewing an expired visa may be a difficult process. Certain visas may not be renewed or reprocessed after expiration and it is up to the visa holder to remove themselves from the U.S. before the visa's expiration date. Applications for visa renewal require documentation, such as letters of employment extension or evidence of continued enrollment at an accredited institution. Check with the guidance notes on the USCIS visa application for more information on supporting documents for renewing your visa. Check with United States Citizenship and Immigration Services (USCIS) to see if your visa can be renewed after expiration. Certain classes of visa may not be renewed after expiration. In these cases, you must reapply for a new visa and you will need to leave the United States. Determine whether the visa may be renewed from within the U.S. or whether the visa holder will need to be in their country of ordinary residence to renew the visa. Certain visa renewal applications may be filed from within the U.S., other applications must be made at the U.S. Embassy or Consulate in the home country of the visa holder. 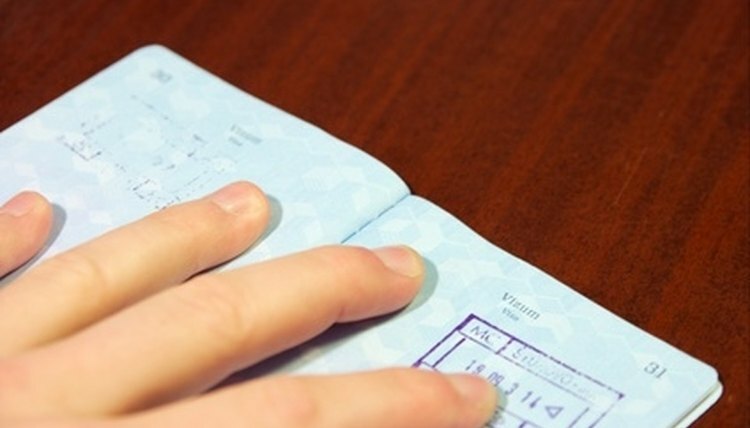 Gather the information needed for your visa renewal. This will include your passport with at least six months of validity and the expired visa stamp, letters from your employer confirming your employment, the original form I-94, Form I-797 Notice from USCIS, the appropriate visa renewal form, school schedules, financial documents and visa fees. The documentation submitted with your visa application will vary depending on the type of visa and you should consult the official guidance notes from USCIS to determine what evidence should be submitted. Submit your visa application to the USCIS address on your visa application guidance notes. If you are outside of the US, you will need to submit the application to your U.S. Embassy or Consulate in the country of your residence. You may need to submit the original documentation with your application or be required to bring copies to your visa interview. Schedule your visa interview, if necessary. This will be held at the U.S. Consulate or Embassy if you are abroad. You will be asked questions regarding your plans in the U.S. and your documentation will be reviewed. If your application is granted, your passport will be returned to you with a renewed visa; if your application is not successful, you will be given a reason and invited to reapply when you meet the USCIS criteria for your visa. U.S. Department of State: Renewing A, G, and NATO Visas in the U.S.
Wark, Gwen. "How to Renew a Visa After it Expires." , https://legalbeagle.com/6020760-renew-visa-after-expires.html. Accessed 20 April 2019.